You should go ahead and Create a Bootable Windows 10 USB flash drive for your computer, in case you haven’t made one yet. This will come in handy if you want to perform a clean install, take Windows OS to a new machine or if something goes wrong with your current Windows 10 install. All that you need to do is download the Media Creation Tool from the website and let Windows create a bootable Windows 10 USB drive for your use. Windows Media Creation Tool is available in 32 and 64 bit versions. Hence, the first step is to find out which version of the tool is required for your Computer. 2. Click on System to see the information about the type of operating system installed on your computer. 3. On the next screen you will clearly see the version of Windows 10 installed on your computer (32 or 64 bit). Next you need to make sure that you have a USB flash drive that is totally empty so that it does not conflict with anything. The USB drive needs to be a minimum of 4 GB capacity for 32 bit version and 8 GB capacity for 64 bit version download. 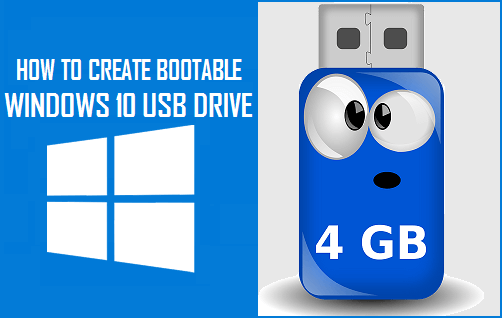 Now that you have everything ready, follow the steps below to make a bootable Windows 10 USB flash drive. 1. Download Windows 10 Media Creation Tool to your computer using this link. As mentioned above, Windows Media Creation tool is available in 32-bit (x86) and 64-bit (x64) versions. Download the one that is relevant to your computer. Create installation media for another PC. Choose Create installation media for another PC, since you want to create a bootable USB drive. Architecture: Choose 32 or 64 bit as applicable. 5. The next screen will ask you to choose the media to use. Since you are trying to create a bootable USB flash drive you will be choosing USB Flash Drive option in this step. The second option (ISO file) allows you to create an ISO file that you can download to your computer and use it to burn a Windows 10 bootable DVD later on. Before clicking Next, insert the USB flash drive into the computer and make sure that your computer has recognized the USB flash drive. 6. Patiently wait for the program to be installed to the USB drive. Once Windows 10 Media Creation Tool has finished doing its job, you will have a Windows 10 bootable USB flash drive ready for your use. Note: If you see a message that says “Install Windows” instead of installation progress for your PC, you’ll need to disconnect the USB and then restart your PC again. Kindle Fire Comparison | Which Kindle Fire to Buy?